The iPad is my main work device and my favorite computer. These are the apps that make it possible. I used to be an Evernote guy. Evernote was my digital brain. Everything changed when I reviewed and immediately thereafter bought the Surface Pro 3. It came with OneNote. I never understood OneNote. It was too much of everything. The Surface more or less forced me to use OneNote and completely changed my mind. Now OneNote is my brain. I use it for ideas for articles, research notes, cooking recipes, first words of our son... The best thing about OneNote: It‘s everywhere. On the web, on the Surface, on the iPad, on the iPhone, on Android and even on the Apple Watch. The Surface not only convinced me to use OneNote it also changed the way I think about handwriting. Being ambidextrous I hated handwriting at school and at the university. After my final exam, I swore with sore fingers to never again write more than a few sentences by hand. Well. I was wrong. Now I love handwriting on tablets. Especially on OneNote. It‘s so much easier to write down my thoughts with a pen than with a keyboard. During meetings, presentations or interviews it‘s also less offensive. OneNote solved both my biggest problems with handwritten notes. I never lose them anymore and OneNote can read my handwriting better than I. It makes my ugly notes searchable (even with the main iOS search bar). I can for example easily search for „A8X“ and find the notes I took at an iPad launch. Techguys always ask me why I don‘t use the function transform my handwriting into plain text. The answer is simple: Why should I? I don‘t want to write an article by hand. Handwriting is for notes. The keyboard is for articles. Plus automatically transferring handwriting into plain text is still not very reliable. I love taking pictures. I hate archiving them. Or rather I hated archiving them. Google Photos completely solved that problem for me. Google built me the photo album I never had the time or the patience to build. It amazes me every day how good it is. And it‘s improving at a rapid pace. No other photo service comes close. Not Apple Photos. Not Microsofts OneDrive. Even though I use them too, Google Photos beats them easily. If you don‘t mind giving all your photos to Google there‘s no better way to save, archive and share your photos. I even use auto share with my wife. Whenever we take pictures of each other or our son it automatically shares them to my or her account. The only feature I miss is „auto awesome“. Back in the Google+ days it automatically enhanced all your photos. And it did a very good job at that. Now I have to do that by hand again. But don‘t take me wrong. I know my way around Lightroom and other post production apps. I just prefer to take my pictures with the camera and only maybe a correct lighting afterward. „Auto awesome“ was brilliant at that. Please Google, bring it back as an option! One of my oldest and dearest apps. I use Pocket on all my devices. From office PC to the Smartphone. Whenever I find something I can’t read in 2-3 minutes I add it to my offline Pocket archive for later. On train rides, flights or holidays I catch up and read all that good stuff. Just don‘t forget to sync before getting on a plane! There are apps for all devices and plugins for browsers. I have to confess I don‘t get 1password and all the other password managers. Even the one built into Safari is a mess. I prefer the old fashioned approach by SecureSafe. The Swiss app is like an encrypted note pad. You can unlock it with a password or your fingerprint. For extra safety, I also have quite a few fake passwords saved as well. You can‘t be too careful with this stuff. I also have all my important documents like my passport or my travel documents stored in the app. You never know. I am not much of a painter. But I love doodling with Linea. And my two-year-old son loves it too. It‘s one of the best apps for the Apple Pen. You control the menu with your fingers and you draw with the pen. The best thing: You can easily erase with the finger. I haven’t seen an other app that combines touch and pen input so elegantly. Oh, and if you‘re a little more ambitious you can still use layers and even adjust their opacity. By the way, you can play a neat little game with layers. Paint a picture. Add an other layer and paint it all black. Then you can use your finger to rediscover the picture underneath. My son loves this. If you’re good at drawing try Procreate. The interface isn‘t as elegant as the one of Linea. But it‘ much more powerful. You‘ll find different brushes and everything else a pro could ask for. You can even insert your photos into the app and paint on top of them. A nice extra: For every drawing, painting or sketch you automatically get a making-of-video. The easy photo editor. If I want to remove a bit of dust on one of my images there‘s no easier way. Everything is optimized for touch and super simple. But don‘t let that fool you. The tools pack real power and can do amazing stuff. If Pixelmator reaches its limits or if I have a very special project in mind (like designing a wine bottle) I always end up using Affinity Photo. Like Photoshop on a PC, it does it all. It‘s one of the most powerful apps for iPad and a standard bearer for working on a tablet. It might be expensive for an app. But it‘s a total steal for what it is. I wonder how long till they have to switch to a different business model. With iOS 12 the iPad is finally good/fast at importing and archiving RAW files and thanks to the new 2018 iPad Pro I can finally connect my Sony A7 via USB-C to it. That’s how I finally became a fan of Lightroom. I never liked it on a PC before. But now and thanks to cloud sync I have my best pictures with me all the time and can edit them on the go. Even on my iPhone. I still can‘t believe that I am recommending Outlook. I hated the mail client on my office PC. I hated it so much I jeered when our company switched to Gmail instead. Everything was better than Outlook. Too bad our company switched right when Microsoft got its act together and started improving things. Outlook on PC is still not my favorite. But on the iPad it is. It‘s everything the original Outlook wasn’t. Easy, reliable and (yes!) beautiful. I use it for our office emails. To avoid mixing private and work emails I use different apps for each. Google will shut this fantastic app down. Get it while it lasts. For private email I use Inbox. For a while, I was a huge fan. Now my excitement faded a little. But in the beginning, it helped me to achieve inbox zero for the first time in my life. I‘m an email messy. I never delete emails and I probably only open a third (or less). Inbox made my email life so easy. When I got a private email I geo-snoozed it till I was at the train station and therefore on the way home. Nowadays I still like Inbox a lot. But I hardly use any of the smart features. Heck, I‘ve grown rather tired of email lately. I hardly ever get interesting stuff in my private account. Messengers and social media really have taken over. Well, this is a difficult one. Everyone always asks me „What is it with you and Hangouts?“. It‘s not easy to explain. But let’s try: I know it‘s not the best messenger out there. And Google seems to shoot it in the knee every few month. But it‘s the only messenger that works across platforms and across devices. I can use it on my office PC, my iPhone, my Surface, my iPad... Plus everyone around me can use it too. In our family, we have lots of Android users (mostly because of my recommendations). So iMessage isn‘t an option (yet). Whatsapp neither. That leaves us with Hangouts and the Facebook Messenger. To be honest I trust Google far more with my chats than Facebook. Recently I started to like the Swiss messenger Wire. But it‘s not doing well with Motion-Stills-GIFs which I and my wife like a lot plus I don‘t want to go through the hassle of converting the whole Zeier-clan to a new messenger. But if Google keeps on ruining hangouts, I might have no other choice. I am a watch nerd. I follow quite a few watch forums. That‘s where Tapatalk comes into play. It‘s like a meta app for all my forums. If I want to check in on the Omega community or read what the vintage guys get excited about I just open Tapatalk. I even paid for the ad free version. I trust Google to handle my emails, I trust Google to handle my documents, and I even trust Google to archive my photos. Well, not entirely. For photos, I have a backup: Microsoft OneDrive. I pay for Office 365 and get one terabyte. I backup all my photos from my iPhone and my Sony A7 on OneDrive. I never look at them, but in case Google screws up I know my photos are save. I can’t mention enough how much I like writing with this app. Yes, it costs a lot. But as a professional writer, you don’t want to make any compromises with your writing apps. I use it for everything but short quick articles. Whenever I’m in a hurry or I want to co-write with my colleagues at work I prefer Google Docs (see below). But for everything more than a few paragraphs I use Ulysses. I especially like the night mode, word count and the fact that it‘s super reliable. Plus the two-finger-mouse works flawlessly (unlike Google Docs). Finally, I love the way letters appear on the screen as I type. It just feels right. Not rushed, no delay, no distraction, just perfect. It’s not the best writing app. But it’s the best co-writing app. Sync is so fast you’re always on the same page with your co-authors. For instances if we have to write a quick explainer like What Does Microsoft Buying Nokia Mean or What Do You Need To Know About Netflix Coming To Switzerland it is super easy to do this together. I also use it to get feedback from people I interview for our newspaper. Another big Plus of Google Docs is the seamless syncing with every available platform. I can start an article on the iPad, finish it at the office and do final touches on the iPhone. When I’m done I can even share it with our editorial/production team. Though mostly I copy the article into our CMS myself. By the way, my company uses Google For Work so everyone is familiar with it. Oh, and did I mention: It is free. One of my biggest problems with the iPad are websites that aren‘t optimized for touch. To do some important things in our CMS at work you need a mouse. Even to edit this website on Squarespace you‘re doomed without a mouse. To solve this problem I turned an old Macbook of my wife into a home server. Via Screens I can access it remotely over Wifi or LTE. That solved all my problems. And every time I use it I‘m amazed how easy it is to use macOS with a touchscreen. 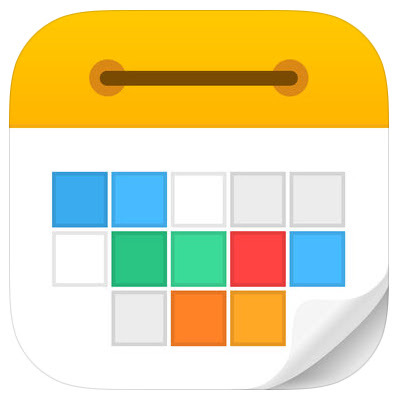 When Apple bought Workflow I wasn‘t too enthusiastic. I had tried tha app before and found it to be way to complicated and couldn‘t find even one use case. To my surprise and thanks to someone on Twitter, I gave Shortcuts a second chance. I became hooked and built a (at least for me) rather amazing Shortcut to create beautiful Apple Watch screenshots. I still think tha app is way to complicated and way too limited. But give it a try! I hate dealing with PDFs. Thanks to PDF Viewer the whole process becomes bearable. I download a file, I add some handwritten notes or even sign it and send it back. It works. It‘s free. That‘s it. Obvious. But like most users, I don‘t use Twitter as a publishing tool (Well I do. But more as a hobby.) I use it mainly as a reading tool. It‘s my main newspaper. And that‘s me saying that. A newspaper journalist. But it‘s so brilliant as a newspaper. I don‘t want to live without it. It‘s the first app I check every morning and the last app before going to bed. If you invest time in finding the right people, publications, and organizations to follow you get a very diverse reading portfolio. Added benefit: You hardly hit any paywalls if you follow many different publications and people from different organizations. Pro tip: Follow people or organizations you disagree with or find annoying. That's how I avoid the filter bubble. Oh and one last thing: Don‘t take Twitter too seriously. Most people don‘t use it. It‘s a rather small community. What Spotify did for music, Netflix did for movies. It stopped me from using inelegant sources. Netflix also stopped me from watching normal TV. Whenever I turn on a TV now I‘m shocked how much ads there are and how bad the quality is. I very much like the new offline-option. Whenever I asked the Netflix guys about it, they always said „not gonna happen“ or „not what we do“. Thank Reed Hastings for changing his mind! I hardly read books anymore. I mostly begin new books and forget about them soon after. Blame my short attention span. Blame notifications on the tablet. Blame the evil blue light or magic radiation. But if I read and buy books I use the Kindle app. Don‘t get me wrong. I like iBooks. It‘s very good on the iPad. I just don‘t feel comfortable investing money in a service that only works on Apple gadgets. With Amazon, I can have my books everywhere. Maybe one day Google surprises everyone and builds a brilliant tablet with even better software (Don’t bet on it though!). It would be a shame if I couldn’t bring my books (especially my James Bond collection) along. It‘s the app that stopped me from downloading music from different sources. In Switzerland downloading is legal. But it‘s as uncomfortable as everywhere else. That‘s how Spotify won me over. I tried Apple Pay once. I loved the playlist suggestions and the radio station (Remember I used to work for Swiss national radio and even founded a radio station.). But in the end, I liked the social aspects (especially the easy sharing of playlists) better on Spotify. We now have the big family plan for the whole gang. Even though I worked for radio stations for over 10 years I never liked podcasts much. Too chatty and often way too long. I used to fall asleep listening to most of them (No joke!). I recently gave podcasts another go and found a few I like. Now I listen to them while commuting to work. I originally started with the Overcast app but always needed way too many clicks to find new episodes. By accident, I discovered the most obvious choice: Apples own Podcast app. My podcast usage went up quite a bit since I switched apps. Back in my radio days, I used to DJ a lot. Now I hardly find the time. The last time I DJed in public was at a memorial evening for David Bowie. Since then I only DJ for myself. Pacemaker isn‘t the most feature rich DJ-app out there. But I love the interface and thanks to the Spotify integration I have all the songs instantly available it took me years to find and download back in the PC days. The app is free but to support the developers I bought all the special effects. Would I dare to DJ in public with this app? No way! But for my personal enjoyment, it‘s more than enough. We still listen to a lot of radio at home on our nearly 10 years old Logitech Squeezebox. BBC6 is our station of choice. Whenever they play a song I like I fire up Soundhound. It immediately recognizes the song and adds it to my Spotify playlists for new discoveries. A few years ago I was unhappy with Shazaam so I switched to Soundhound. I never even thought about switching back. I‘m not much of a video guy. I’ve always preferred taking pictures with my cameras to recording videos. But since the big Swiss media company I work for is slowly prioritizing videos I started experimenting with the format. Needless to say, I wanted to do it on the iPad. My App of choice is LumaFusion. It has all the features I could ask for and it’s optimized for touch. I can cut, crop, adjust colors or add an audio track. Still, I hesitated buying the app at first because of the hideous app icon. But after the developers promised me to be working on a new one I immediately bought it. A few months later they changed the icon. Finding a good calendar is difficult. Very difficult. I‘m picky with design. So most of the feature rich offerings fall through. But I need one with month view and one that can easily sync with three Google accounts (my private one, my work one and the one of my wife). A few years ago I found and bought Calendars 5 and stuck with it. To be honest I didn‘t shop around for a new calendar much. Calendars 5 get‘s the job done and isn‘t too ugly. End of story. Weather apps are super useful. But I never liked the big ones very much, the ones that pretend to work around the world. In Switzerland where I live I use the official app by the Federal Office of Meteorology and Climatology. It has a lot of features but it's still very easy to use. Whenever you visit Switzerland give it a try. That’s an app close to my heart. Not only because I know the developers personally but more so because the app is super handy. It‘s the best shared shopping list I know. I use it together with my wife and it works perfectly. The user interface is easy to use and very intuitive. Bring is the only app I bought three times. Once for me on iOS and Android and once for my wife. Even though the app is free now I would easily pay 5 Dollars a year to use it. It‘s become an integral part of our household. Googles offering in the map space is hands down the most feature complete. Offline maps, public transport, bicycle routes, open hours... What ever you require from a maps app Google Maps has it all and is still easy to use. From time to time I check in on Apple Maps. But I always come back to Google Maps. Over the years I saved all my favorite locations from my trips around the world in Google Maps. Now my world map is full of tiny yellow favorite stars. It's like a visual diary of all my journeys. I also love the recently added time line feature. Let's say I visited a new city over the weekend and want to save my favorite spots on the way back I just open the timeline and it shows me where I've been all day. It even adds pictures I took to the timeline. Before Apple gave in and built the iPad Pro, I used my Surface for most tasks. Especially handwriting notes. Back then I bought the Duet app. It transforms your iPad into a second screen. A second touchscreen. It‘s super useful when I use the Surface. But nowadays I wish that I could turn my trusty old Surface into a second screen for the iPad. How times have changed. The smart Home and all its many gadgets are still gimmicky and not ready for mainstream. Yet I have more and more smart devices at home. Lightbulbs from Philips, Switches from MyStrom and Sensors from Eve. All of them have their own apps. And all of them are unreliable and rather terrible. 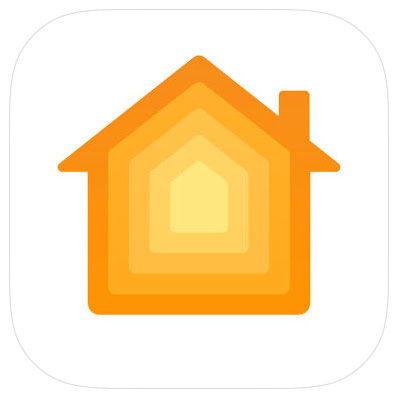 The only thing that makes my smart home barely bearable is Apples Home-App. It‘s reliable and thanks to the Apple TV lets me even control all those gadgets when I‘m at work or on the way home. The app is not perfect though and lacks a lot of polish. But it‘s the best I got for now. I have to confess I never understood Minecraft. The graphics were ugly and the game as a whole didn’t intrigue me. Everything changed when I first saw my godson and his brothers play together. I was hooked immediately. They thought me how to play and now whenever he and his brother visit we play and build together. On iPad, iPhone, Surface and the Apple TV. It‘s like Lego with infinite stones. You can literally get lost in the game. I think it‘s one of the best games you can get for children and grown-ups alike. If there is one app I wish I would use more often it’s Swift Playground. I have a very limited understanding of programming. I used to do some backward engineering with QBasic in the old DOS days and I can read and mess with HTML. But that’s it. Whenever I find the time I experiment with Swift Playgrounds. I know the app is for children. But I‘m sure it‘s good for me as well. I have no illusion of building an app one day. But Swift Playgrounds gives me a very good understanding of what developers do.